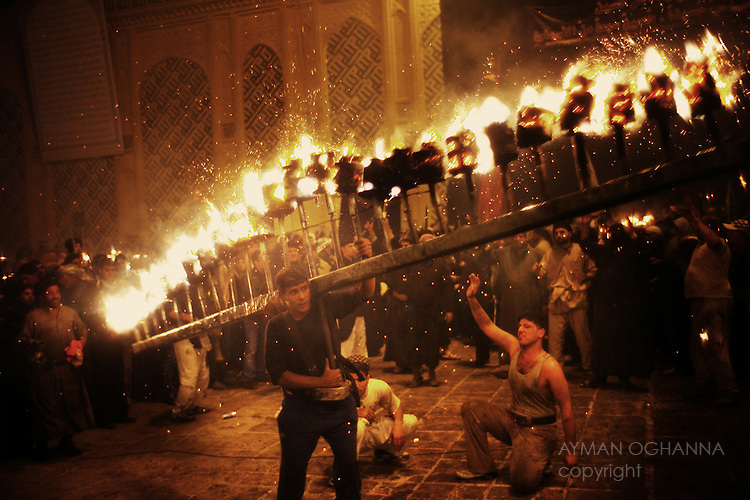 Ashura Fire Ceremony in Najaf. Shiite ceremony during Ashura in the holy city of Najaf. The city is now an economic, cultural and political hub in Iraq tied to the ascent of Iraq's Shiites, once maligned and now Iraq's most powerful community.